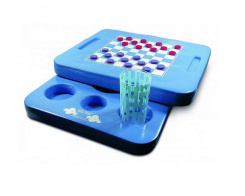 On one side, it can accommodate eight glasses or cans as well as small cookies thanks to its container; on the other side, it is a checkerboard to play draughts! 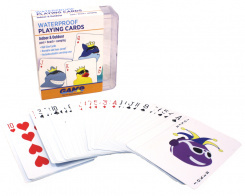 Waterproof and tear proof... Now you can play your favorite card games in the comfort of your hot tub ! 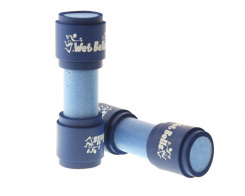 These floating Wetbells help you get a great water workout. 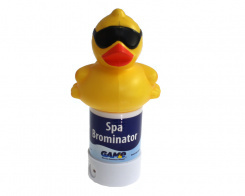 They work by providing resistence in the water to help you tone. This product is one pair. 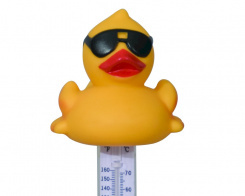 A playful yellow duck that measures water temperature in Fahrenheit and Celsius. A safe "Shark in the pool!" 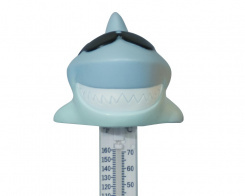 fella that measures water temperature in Fahrenheit and Celsius. Measures water temperature in Fahrenheit and Celsius. can be used with slow-dissolving bromine or chlorine tablets and has five different settings to regulate the rate at which the tablets dissolve.